Photo Sphere app was already available on Android. Now It is available for iPhone owners. They will make 360 ° photos geotag precisely and publishable on Google Maps Street View, in addition to pictures taken by the Google Cars playing our streets. 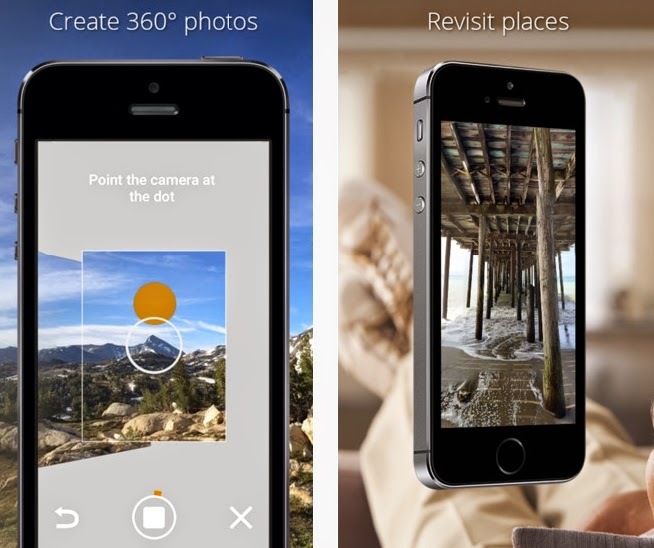 Photo Sphere arrives on iOS. The Google app to easily make photos 360 degrees (horizontal and vertical) was an Android exclusive since its release in 2012 The free app, which was released Tuesday on iOS (v 7.0 + required) is advertised as optimized for iPhone 5. Shooting's easy if somewhat tedious: thirty shots guided by the wizard, then treating the collection only takes a minute or two. Can be reduced by limiting the time the area covered in the vertical direction. Outside the result is pretty convincing. For interior photos it will take a little more patience and practice if you do not want the piece photographed looks like a slum.